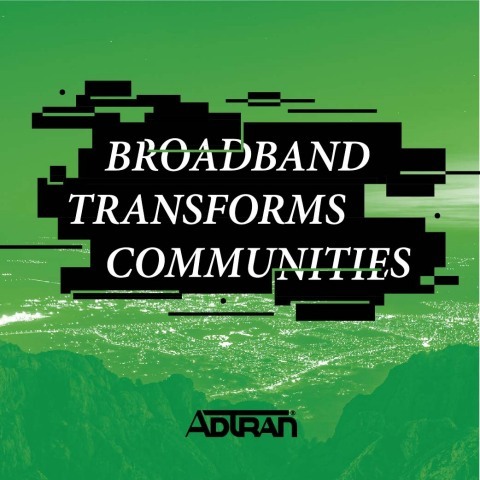 HUNTSVILLE, Ala.--(BUSINESS WIRE)--ADTRAN®, Inc., (NASDAQ: ADTN), the leading provider of next-generation open networking solutions, today announced that it is empowering Pioneer Broadband to bring high-speed broadband internet to communities in rural Maine. In conjunction with Downeast Broadband Utility, Pioneer Broadband is building an open-access fiber infrastructure in the towns of Baileyville and Calais using all ADTRAN technology. Downeast Broadband Utility contracted with Pioneer to design and build the new network to bring high-speed internet access to communities previously left behind by other major service providers. When these rural communities realized that broadband access from traditional service providers was either unavailable or unfeasible due to cost, they created the state’s first quasi-municipal broadband utility—Downeast Broadband Utility. Pioneer Broadband won the RFP by designing an open-access fiber optic network that will allow multiple service providers to utilize the network in the future. This plan gave the communities the high-speed internet they needed at a reasonable cost. Then, Pioneer Broadband turned to their longtime partner, ADTRAN, to supply its TA5000 GPON solution, which provided the flexibility and modularity they needed to build out the network. Fiber optic internet access paves the way for opportunity and economic growth in rural communities, allowing technological innovations seen in more urban areas. Broadband will be a major economic engine for this region, making everything from telemedicine to remote workers a reality. Already, broadband has been a contributing factor in the revitalization of downtown Calais, which is experiencing increased tourism activity. Pioneer Broadband is an industry leading provider of internet, telecommunications and cable television services to communities across Northern and Eastern Maine. Pioneer Broadband is a privately owned, local Maine company operating facilities in 80 locations and delivers residential and business connectivity solutions and is the only internet service provider in Maine to have connections to the Canadian internet backbone, offering international diversity and redundancy unique among Maine’s providers. ADTRAN, Inc. is the leading global provider of networking and communications equipment. ADTRAN’s products enable voice, data, video and Internet communications across a variety of network infrastructures. ADTRAN solutions are currently in use by service providers, private enterprises, government organizations, and millions of individual users worldwide. For more information, please visit us at www.adtran.com, LinkedIn and Twitter.